The Rebel Sweetheart. 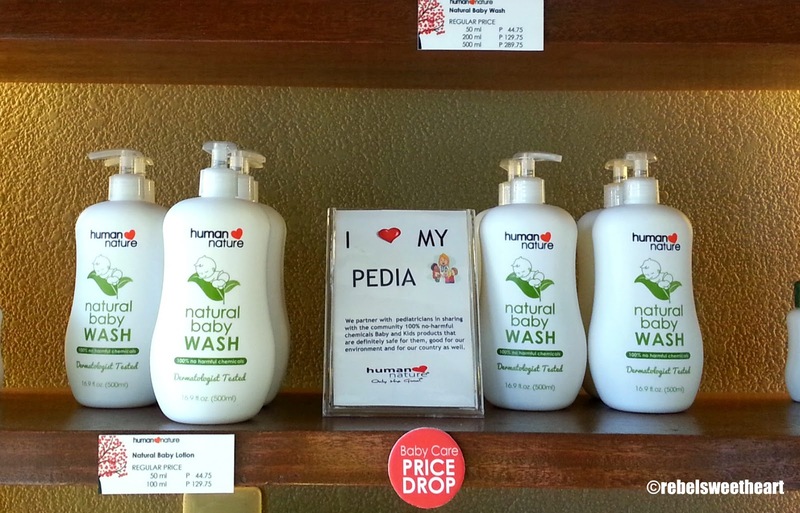 : Only the Good | New Products from Human Heart Nature! Only the Good | New Products from Human Heart Nature! Last Saturday, I had the honor of attending the Magalogue Turnover at the Human Heart Nature Laguna Concept Store, where I got first dibs on the new Human Heart Nature products. And because I don't want my readers and followers to miss out on the latest from one of my favorite local brands, I'm giving you all a glimpse of the new products that were launched that day. New look, same organic goodness. From playing “This Little Piggy” on your baby’s toes to gently massaging those tiny arms and hands; these little gestures of touch make all the difference in forming that special bond with your baby. As a parent, every loving touch can help you calm, connect and communicate with your infant. With Human Nature’s Natural Baby Care Line, you can be sure that every caress, kiss and hug carries Only the Good from Mother Nature’s Special Touch. Bathe your little one with pure gentleness using our Natural Baby Wash. Free from harmful chemicals such as SLS and SLES, it’s perfectly safe to use on baby’s delicate skin. Touches of lavender, rosemary, and chamomile help calm and relax your baby from top to toe! Would you believe that baby’s skin is ten times more sensitive than yours? After nine months of being safely nestled in their mother’s womb, when babies are born, their skin is suddenly exposed to harsher conditions. That’s why it’s important to keep baby’s skin nourished and moisturized. Give your little one a natural skin treat with our 100% Natural Baby Lotion, made with a medley of sunflower oil, avocado oil and aloe vera. Completely free from harmful chemicals like silicone and parabens, it contains natural glycerin that gently seals in moisture for healthy skin that’s baby-soft and supple with every cuddle. Did you know that massaging your baby with sunflower oil lessens the risk of developing skin infections by 41%? Show your love in the most intimate way with our 100% Natural Baby Wonder Oil. Made with premium-grade sunflower oil, it’s gentle and safe to use for infant massage, a crucial step for baby’s development as it stimulates brain nerves. It also lowers the baby’s stress level for a stronger immune system. 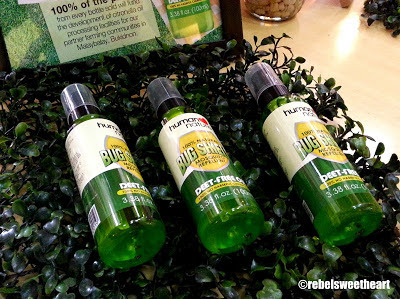 Natural Bug Shield DEET-Free Oil. While dengue may be on the rise during rainy season, you have to admit that in a tropical country such as the Philippines, bugs are a constant; 24/7, 365 days of the year. Summers are spent enjoying the outdoors with picnics, hikes and dinner and drinks on the beach. When July rolls around, it brings with it puddles of rainwater and stagnant water. Stay bug bite-free, scab-free and scar-free all year round with Human Nature’s reformulated Bug Shield Oil (formerly Citronella Bug Spray). Now with enhanced protection, a better scent and a great new look, your trusty citronella insect repellant now packs an even more powerful punch against pesky mosquitos. Made with absolutely zero DEET or harmful chemicals, it’s infused with citronella oil to effectively shield you from insects while remaining safe and harmless to your skin. Eucalyptus essential oil and soybean oil serve as second and third layers of protection while moisturizing the skin; a combo even the toughest mosquitos will shrivel away from! Now, here’s the best part: we’ve not only intensified our bug shield protection, we’re also intensifying our campaign to help end poverty. Help us spread the word about our Bug Shield Farmer’s Fun Drive where 100% of the profits from every Bug Shield Oil and Bug Shield Lotion sold will fund the development of sustainable livelihood for our partner farming communities in Malaybalay, Bukidnon. Starting this May, our goal is to sell 50,000 bottles which will fund the citronella oil processing facilities in Brgy. Imbayao and Brgy. San Jose in Bukidnon. You may not realize it, but by purchasing a single bottle of our Bug Shield Oil and Bug Shield Lotion you’re helping countless families fight the battle against poverty. With Human Nature’s Bug Shield Oil (P 159.75 for 100ml P 99.75 for 50ml), you can get maximum protection from pesky bugs, stay safe from toxic chemicals and help the country all at the same time. Sometimes, you really can have it all. Tough Love by Human Nature. Laundry detergents are notorious for the poisonous effects they have on aquatic life. This doesn't mean you have to go soft on dirty laundry though! 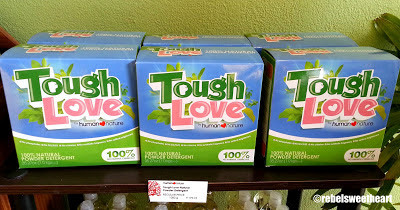 Tough Love Natural Liquid Detergent (Php329.75, 950ml) and Natural Powder Detergent (Php199.75, 1000g) makes sure your family's clothes smell fresh clean with no harsh chemical residue leftover, leaving your fabrics kinder to your skin. Suffering from skin allergies like contact dermatitis? Switch to this chemical irritant-free detergent to feel the relief on your skin! Finally, there's the Perfect Glow Mineral Blush, which I have featured and reviewed in an earlier post. 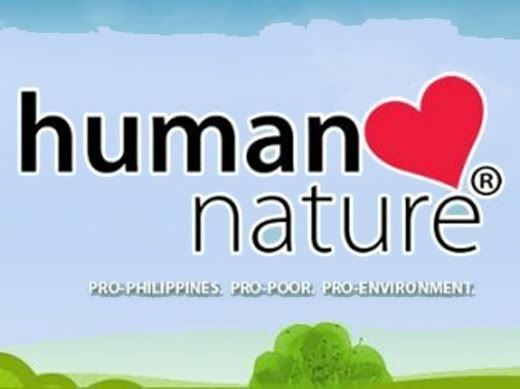 Human Heart Nature is the Philippines’ largest brand of genuinely natural personal care and cosmetics products. Operating as a social enterprise, it is driven by the core philosophies of being PRO-PHILIPPINES, PRO-POOR and PRO-ENVIRONMENT. Founded by Anna Meloto-Wilk and Camille Meloto, daughters of Gawad Kalinga founder Tony Meloto, Human Heart Nature’s products are 100% made in the Philippines and 100% free from harmful chemicals. To learn more about Human Heart Nature products and advocacy or to learn how to be a dealer, visit the Laguna branch at G/F G-Square Plaza, Barleta cor Malvar St., San Pablo City Laguna, (049)5031096/0922-8108627/0917-8343539 or www.humanheartnature.com. With all the good stuff HHN have, I want to become a seller na rin tuloy. Gwen loves their kid's shampoo and Tangering Tarsier. 100% natural products is really a lot safer because of some harmless chemicals in other products. Oh! I want to try the new and improved bug spray with new scent! Now I wish I had a baby again, so I could try out those products :). 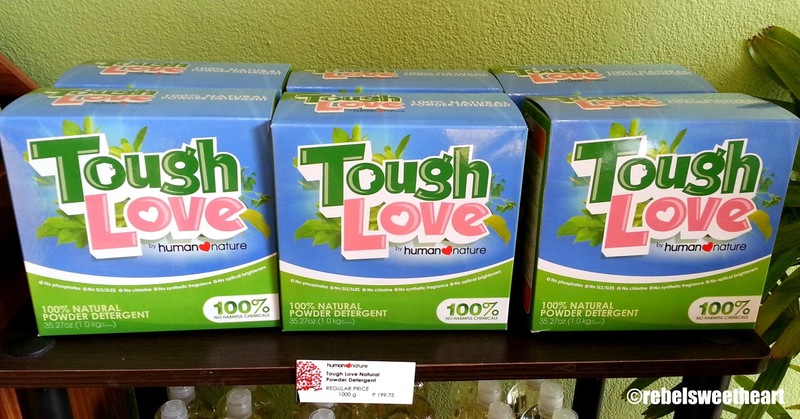 Tough Love- what a name for a detergent. That made me laugh. Being a natural product it's no doubt a good one.once again a nice review from you. Love the packaging of Tough Love! How does it compare to regular detergent? I'm really please how this company continuously evolves. Good products! i have heard about the tough love but never got the chance to try them, looks nice though would visit my nearest HHN.